The report on the Inquiry into School Libraries and Teacher Librarians in Australia has been tabled in Parliament. You can take a look at the Federal Government’s new report on school libraries and teacher librarians in Australian schools on the House of Representatives’ website http://www.aph.gov.au/house/committee/ee/schoollibraries/report/fullreport.pdf. 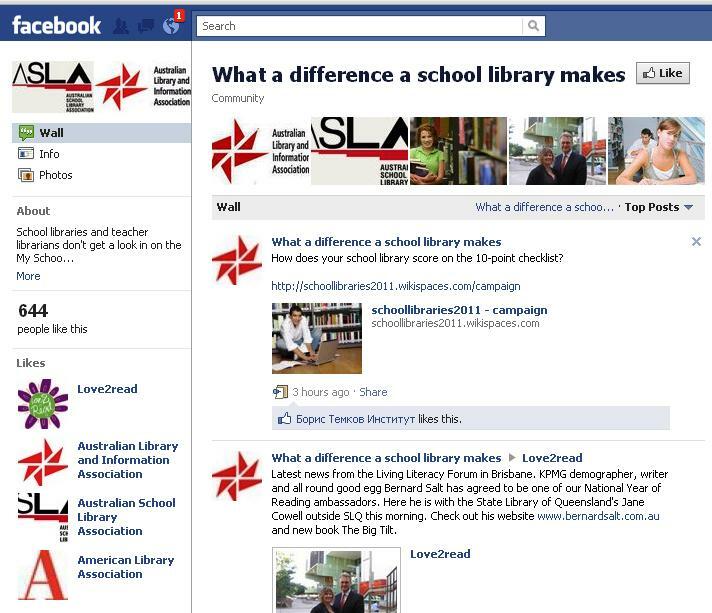 The Australian Library and Information Association and Australian School Library Association have created a Facebook page where we’d love you to express your support for school libraries and share any stories about how a teacher librarian has helped you, your family or your class. This is the basis for a campaign by library associations and teacher librarians to bring parents into the discussion about the future of school libraries. Although the report spoke very positively about the benefits of employing qualified teacher librarians in school libraries, the sad fact is that not all schools are prepared to make the investment and even if they were, there are aren’t enough of us to go round. We need more people coming into the profession and more principals and school boards of management as enlightened as our own. 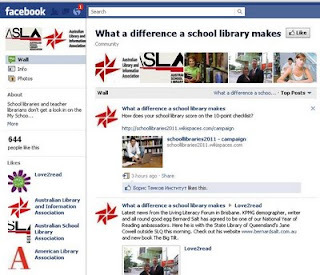 If you’d like to find out more, please visit http://www.schoollibraries2011.wikispaces.com.